Fazil Say, a classical pianist from Turkey usually doesn’t leave people cold. Its often a love it or hate it affair. The first time I heard Fazil was in a duo with a similarly polarising artist, Patricia Kopachinskaya, playing the Beethoven sonatas. It was clearly a memorable concert. And while fro Kopachinskaya I really don´t like everything she does, I really admire her artistic courage and ambition. She´s always in there with all her heart. Fazil Say seems also quite emotional, but at least from his performances, his emotions typically translate into very sensitive playing, whether he plays Western classical music, or his own compositions. I omitted to write about his great recent complete Mozart sonatas cycle recording, which I can really recommend you check out. There is not one boring moment in there. So I was really intrigued when Say released his very recent Chopin Nocturnes album. As expected, it is a beautiful recording. You get Say´s characteristic playfulness, sensitivity, interesting play with beautiful rubato. The feeling you get is of a warm Mediterranean summer night. Chopin being one of the first tourists on Mallorca comes to mind, and Franz Liszt claimed the Nocturnes were inspired by Italian Bel Canto. Both very much apply here. These are nuanced, intelligent interpretations. The only reproach I have is sometimes the tempi feel a bit fast. Overall, Moravec´s legendary version not under threat of being kicked of the throne, but Say´s version is very much worth exploring. Recommended! You can find it here (Qobuz) and here (HDTracks). UPDATE Oct 1, 2017: Classic agrees, and gives this album 4 stars as well. Cho is the winner of last years Warsaw Chopin competition, that in the past used to launch piano legends, e.g. Krystian Zimerman, or Martha Argerich. However, in my previous review of his debut recording, I already was quite surprised by the choice of last years jury. And unfortunately, his latest release, a full Chopin album with the piano concerto no. 1 and the ballades, confirms my disappointment. Let’s start with the good part. Piano concerto no. 1 is an overall convincing performance. He uses a lot of rubato, which I really like in Chopin, the brilliant parts are brilliant as expected, but the slower parts also get a well reflected treatment. We are clearly not yet beating Zimerman’s both recordings on Deutsche Grammophon, but at least this is interesting and worth listening to. The LSO under Gianandrea Noseda are a quite powerful partner. Let’s face it, the Chopin piano concertos aren’t the most satisfying material for orchestras, they often are nothing more than “background” for the soloist. But their playing here cannot be faulted. The Chopin ballades are just amazingly beautiful. My favorite version is again, Zimerman, as already featured in my Top 10 Classical Pianists posts. Another favorite of mine, Murray Perahia, is also exceptional. Getting to Cho, something is just wrong. The slow parts are often just plain boring, I can’t even fully put my finger on it. When it gets fast, like after 2 min into Ballade No. 2 he becomes impressive, but more technically than musically, unfortunately. It is very clear that Cho has amazing technical reserves that are barely even challenged here in these works. Maybe he would be perfect for Liszt, but here in the simple ballades, what you really need are nuances, and these are missing to my simple ear. It pains my heart writing this, but I don’t think Cho is up there with his peers from previous competitions. Let me know what you think, do you agree? Disagree? Think I’m completely nuts? Please share your comments. UPDATE January 5, 2016: By now, some other reviewers have had more positive opinions than me about this album, I’d say the general consensus is around 4 stars. Doesn’t change my personal rating but I wanted to flag this to ensure you get a balanced view. I’ve mentioned Benjamin Grosvenor several times already, including here, and here in my comments about last year’s Gramophone Awards. If you read through these reviews and comments, you’ll quickly see I’m a huge fan. This young artist (he’s only 24!) is really spectacular. So far, I have yet to hear a disappointing album from him. So my hopes were high when he released his new album, Homages. Grosvenor likes albums mixing several composers around a theme. His last album was called Dances, now we’re talking about Homages. And we start strongly, with Busoni’s piano setting of the famous Chaconne from Bach’s suites for solo violin. This is rather rarely played, which is a pity, as for once a transcription actually adds something (more often than not, they do not work that well for me). You really get the full bandwidth of this beautiful piece, and the outstanding beauty of Milstein’s legendary interpretation comes to mind, while Busoni’s fireworks around the well known melody really works. This sounds almost like Brahms (who by the way also transcribed the Chaconne, but into a version for left hand only), or actually even occasionally like Rachmaninov. A true showpiece, but without any negative connotation that is usually associated with this term. From this grandiose opening, we move to another rather unfamiliar music, Mendelssohn’s preludes & fuges op. 35. Mendelssohn was essential for the “rediscovery” of Bach in his time, and you can hear the spirit of Bach in these little-known, but beautiful gems. From these Bach homages, we move on to more traditional romantic piano music with Chopin and Liszt, an area where Grosvenor feels very much at home. The booklet tries to give some story around why Chopin’s beloved Barcarolle and parts of Liszt’ Années de Pélérinage are homages as well. I must admit I don’t care that much, I just love his playing. The Barcarolle op. 60 is one of my all time favorites from Chopin. I heard it some years ago by Krystian Zimerman live, in what remains my personal reference. However, this interpretaion really stands on its own, and I like it a lot.Liszt’s Venezia e Napoli is also really well played. He closes off with Ravel, as already in his Decca debut, focusing Le Tombeau de Couperin, where the homage aspect is already evident from the title. I wonder if Grosvenor ever will record e.g. an entire cycle or work, or if he’ll stick to this kind of “concept” album. I wouldn’t be surprised if he sticks to the latter, which is great, because it gets me to discover music I wouldn’t necessarily have discovered without him. Author MusicophilePosted on September 30, 2016 Categories ****, Album Review, Baroque, Classical Music, Felix Mendelssohn-Bartholdy, Franz Liszt, Frédéric Chopin, General, Johann Sebastian BachTags Benjamin Grosvenor, Busoni, Chopin, Decca, Homages, Liszt, Mendelssohn, Ravel3 Comments on Oops, He Did It Again: Benjamin Grosvenor with Another Great Album! The new July issue of Gramophone appeared rather early on my iPad (I’m not into paper subscriptions any more). As usual, impatient that I am, I jump immediately to the Editor’s Choices, starting with the Recording of the Month. This time, Nicolas Angelich recent Dedication Liszt/Schumann/Chopin album. Cool, I think to myself, another great recording to check out of Liszt’s b-minor sonata. I’m not a huge fan of Liszt in general (too much, especially his orchestral works). But there are certain works I really like, including most of all his great b-minor sonata. My favorite version by the way is Michael Pletnev’s recording on DG by the way (maybe to be reviewed at some point in the future). In any case, I must admit, I didn’t really even get to listen to the entire Angelich album, I stopped about 5 minutes into the b-minor sonata. I was really stunned. Liszt was supposed to be the greatest virtuoso of his time, and this version, well, let’s just say, it didn’t touch me at all. To be fair, my taste may not be universal, as I really liked Katia Buniatishvili’s recording on Sony, which was anything if not controversial, to say the least (some just hated it, stating is was too much…). Yes, the fiery Argentine pianist. She has a very particular sound and style (in a blind test on Swiss radio, two experts blindly identified her vs another artist on 5 out of 5 different pieces, and even I got 3 out of 5), and once you’ve heard her, you’ll never forget her. So I recently found myself buying her legendary debut album, remastered and released as a 24/96 download (I had bought in on CD ages ago, but hadn’t listened to it regularly enough). Somehow, the Chopin competition really means something. Look at the winners, Pollini, Blechacz (see here), Yundi, and Argerich! (well, this year seems to be a bit of an outlier, see my comment here). Basically she was a pure genius from day one. Her Chopin barcarolle, so beautiful. And the Scherzo no. 3, my favorite! Her Brahms is ok, not outstanding, but when we get to Liszt, all hell breaks loose! Already the Hungarian Rhapsody is full of fire and energy, her trademark, but go to b-minor, and check out every savory moment, from the quiet introvert moments to the amazing prestissimo (track 17). If this leaves you bored, you’re probably deaf. And now go back to your streaming provider of choice and check out the Angelich against it, and I guess you’ll understand what I mean. My rating: 5 stars plus! Note that getting the 24/96 remaster is not necessarily a must, unfortunately the original recording was already rather poor, and even the remaster still sounds rather like a shoe box. UPDATE June 11: Another word about the Angelich recording that I browsed over a little bit superficially above. The Angelich album not only got high praises from Gramophone as mentioned above, but also a Choc from Classica magazine, and this recording of the b-minor sonata was just selected in their June 2017 issue as best version in a blind test comparing 10 recordings out of the ones released in the last 20 years. Triggered by this I listened again to Angelich. Well, to be fair, it is a good recording. However, I still prefer much more the more extreme versions like Argerich, Bunatishvili, etc. For me, this extreme work requires extreme playing. I find the Angelich a bit too “middle of the road”. But given that several reviewers I really respect disagree with me, you have to check it out. First of all, to my subscribers, you may have been surprised not to see a post yesterday. This indeed has been the first time since I started this blog nearly 6 month ago that I didn’t post anything on my regular schedule of every 2-3 days. I unfortunately had a health issue in the family. I’ll really target to get fully back on schedule with posts appearing at least every 3 days. Second, to the Jazz fans among my readers, hope you don’t get bored, my blog has been rather focused on classical music for the last posts. I’m working on getting back to Jazz ASAP. But well, one more on classical music. This one was triggered by my mother in law, suggesting I should write about Lang Lang’s latest album. When I spoke to her, I mentioned that I hadn’t heard it yet, but wasn’t a big fan of Lang Lang in general. Her answer was, “So why don’t you compare it to something you like better?”. Every once in a while there are musicians out there, that, usually helped either by YouTube (e.g. Valeria Lisitsa) or by the label (remember Vanessa Mae?) that are rather well-known even to a non classical audience, and have a certain pop-star following. Sometimes (e.g. Jonas Kaufmann) the hype is correlated with quality, more often than not, I find the correlation between fame and quality in classical music to be not very strong. Lang Lang is a typical example. He’s probably today’s best known pianists (don’t have any data to back this up unfortunately). And as I said to my mother-in-law above, I have yet to hear a Lang Lang album I really like. But thanks to my streaming subscription I could simply check the latest album out and make up my own mind. A word of introduction on the music: the album consists of the four Chopin Scherzi, and Tchaikovsky’s The Seasons for piano. I’m not very familiar with the latter, so I’m not going to comment on the performance. However, I just love the Scherzi. There is an entire world in the 6-12 minutes of each one, and they are among my absolute favorite piano pieces by Chopin. So my expectations were rather high. And I’m sorry to say I was disappointed. No. 1 was just too nervous, to ADHD (my wife told me to switch albums when we listened to it together). No. 2 is nicely flowing at the beginning, but getting a bit quirky over time, and again too nervous in the fast parts. No. 3 is probably the best of the four, a bit too much still, but quite enjoyable nevertheless. The worst was probably no. 4, just too much forte all over the place, and just too slow for my taste. Now, as suggested by my wise mother-in-law, let me write about my recommended alternative. And actually another form of “hype”, albeit at a smaller scale. Benjamin Grosvenor at the tender age of 24 has won more awards already than others in a lifetime. He was Gramophone’s youngest-ever double award winner, and the rest of the British (and partially international) press went just as crazy about him. So how’s the hype working out here? Well actually, I’m a HUGE fan. His Chopin Liszt Ravel album, which features all 4 Scherzi, is just outstanding, and his more recent release Dances was not far behind in terms of quality (I mentioned it my comments about the 2015 Gramophone awards here). There are obviously other outstanding versions of the Scherzi out there (Argerich for no. 3, Rubinstein, and the best I’ve heard was Kristin Zimerman for no. 2 in a live concert), but the recording here is pretty close to perfect. You can find the Lang Lang here (Qobuz) if you really insist, and the Grosvenor here (Qobuz) and here (Prestoclassical). Another post on Chopin? Why not, given that the Chopin competition in Warsaw is going on right now, and I’ve mentioned in my previous post on the Préludes how important this competition is. Furthermore, I’ve just had an interesting discussion on the Nocturnes on a forum, which triggered me to listen to several of my Nocturnes again. 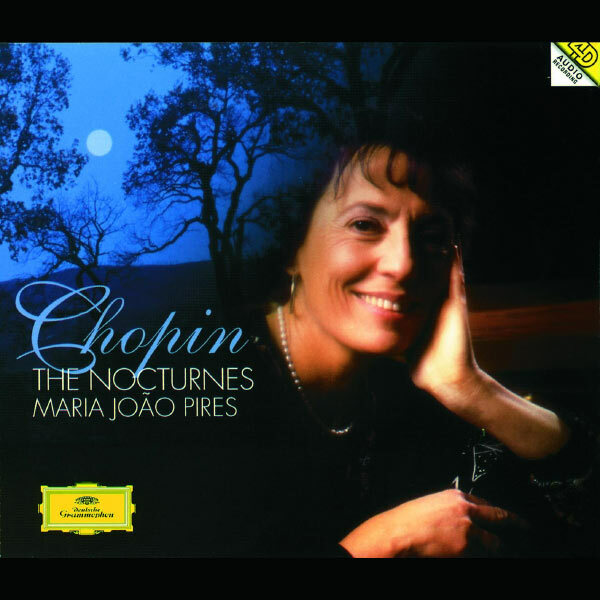 The Nocturnes actually are not one single opus, they are individual or coupled words Chopin wrote over nearly 20 years. They share however a common character, not surprisingly, nocturnal. Chopin is the name everybody associates with this “genre” these days, but actually other composers (e.g. the Irishman John Fields) have used this title previously. They are less focused on virtuosity and glamour, but are much more intimate. So you don’t need all the pianistic firepower to shine here, you need delicacy and insight. The are many good recordings out there. Rubinstein has recorded them at least 3 times (my preferred version dates from the 1930s), the Chopin legend Samson François has done a version, Claudio Arrau, Nelson Freire, and many others are worth considering. However, my personal favorites are Ivan Moravec and Maria Joao Pires. 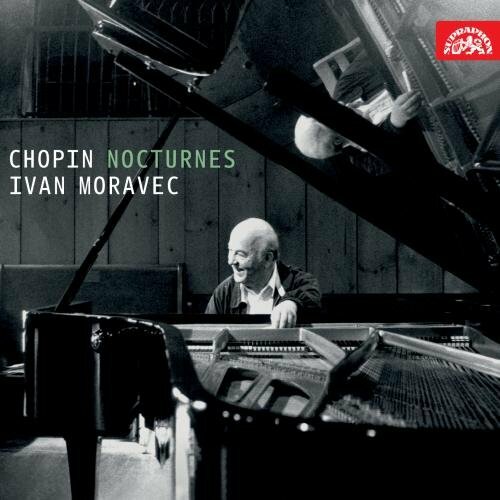 Moravec’s Nocturnes are legendary, are rightfully so. I’ve never heard the Nocturnes played with more intensity and emotion. The recording is from the 1960s with only average sound quality but you’ll quickly for get that listening to this album. Just outstanding. I haven’t been very friendly to Pires in my recent review of her album with Gardiner, but there is absolutely no fault to be found with this recording. Less intense then Moravec, but even more intimate. You feel like you’re sitting at home late at night in front of your fireplace, having a nice glass of wine in your hand, and she’s in the room playing just for you. This is the image that ever always comes up when I listen to her version. I wouldn’t want to miss either one of these two outstanding recordings. You can find the remastered Moravec here (Prestoclassical).